Why Become a Respiratory Therapist? FNUNewsWhy Become a Respiratory Therapist? Many people aren’t familiar with the role that respiratory therapists play in the lives of patients each day. Like doctors, nurses, and other healthcare specialists, respiratory therapists work hard to ensure their patients understand the value of and practice of good health. Respiratory therapists specialize in the health for the respiratory system. As most know, this is the system that controls the human’s breathing—which is essential to the health and life of an individual. First things first, students must determine their interest level, considering whether or not this can be a career they are passionate about. As stated—and well understood from an early age—breathing is essential to a human’s life. Respiratory therapists play a critical role in this. a great candidate to take on this role is one who is passionate about healing others and has an interest in the c career. Paired this with a comprehensive education, these individuals are well on their way to saving lives. Students who graduate from one of FNU’s Respiratory Therapy Programs will have the ability to make a difference in the lives of individuals, families, and friends worldwide—whether it’s an emergency situation, regular care, or home care. In the event of an emergency, respiratory therapists must be quick to think and ready to act. According to the National Institute of Health’s National Library of Medicine, “Time is very important when an unconscious person is not breathing. Permanent brain damage begins after only 4 minutes without oxygen, and death can occur as soon as 4 – 6 minutes later” (NIH). Even minutes without oxygen can mean the difference between life and death. Patients who survive respiratory trauma can still experience brain damage. A scary and time sensitive system, respiration is crucial to the health of patients. It is not enough to be quick thinking, alone. Respiratory therapists must also acquire the skills needed to diagnose and treat breathing difficulties in an array of situations. Accuracy and critical thinking skills are key. Therefore, respiratory therapists must be high in their skill level, well trained, and careful to make the right decisions—fast! The first, most obvious reason to consider becoming a respiratory therapist is the ability to save lives each and every day. Through specialized care, fast thinking and a strong passion for the health of others, respiratory therapists are able to bring the skills to the table that save families from experiencing a tragedy. Doctors and nurses don’t have the specialized understanding of respiratory care in the same way that respiratory therapists do, making this a valuable role to take on. 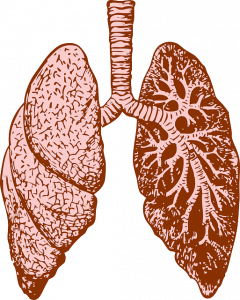 Individuals who obtain an associate’s in respiratory therapy specialize in lung and breathing health. With this degree, one can still enter the field in an entry-level career—and keep in mind that an individual can always return to school after graduating with an associate’s. This program prepares the students to earn the national RRT credential awarded by the National Board for Respiratory Care (NBRC). It offers the knowledge and skills necessary for a position in hospitals, respiratory care departments, pulmonary rehab, pulmonary diagnostics, nursing homes, and home health agencies. It also sets the framework for them to continue to the Bachelor of Science in Respiratory Therapy (BSRT). The purpose of the Respiratory Therapy Advanced Program is to enhance the education of RRT graduates with a current NBRC credential, in order to provide them with professional growth and skills in areas of management, cultural diversity, pulmonary rehabilitation, and supervisory skills across various healthcare settings. For the Federal Government as well as for independent contractors a bachelor degree is considered and accepted as the entry-level professional degree. As new regulations are introduced in the field of the allied health professions the time will come in which remuneration for services provided will be awarded to individuals with a bachelor degree in their field. Our BSRT prepares Registered Respiratory Therapists (RRTs), to bridge the gap from the associate to the bachelor level while working in the field, acquiring the experience and knowledge needed to advance in their profession of choice and begin developing a reputation of their own as dedicated and knowledgeable professionals. Don’t Delay: Get Started with FNU! If entering this career sounds interesting to you, and you would like to pursue an education in the field, then now is the time to make the move. Apply to FNU and get started on the road to making a difference in patients’ lives!